Spell-binding, perfection in a rare, "light bronze" color, unheated Ceylon sapphire. Lustrous. We take pride in providing, rare, completely natural, unheated "fancy" sapphires in every color. This Ceylon sapphire, weights 0.95 cts., medium, intense, greenish-yellowish in color (light bronze), masterfully executed, round, modified diamond cut, and measuring 6.03mm in diameter by 3.57mm deep, flawless gem, IF-VVS1 from the gem fields of Nivitigala, Sri Lanka. Very lustrous sapphire due to an outstanding cutting proportions, this is a completely natural, no heat rare color. Shifting to a more greenish-yellow in incandescent light, this will mount a 6mm standard setting...A beautiful sapphire indeed. The rarest sapphire color. Exotic, unheated, Ceylon Padparadscha sapphire. What a deal. Looking for an affordable Padparadscha sapphire? This unheated, Ceylon Padparadscha sapphire weights 1.11 cts., pastel, orangish-pink color, well executed, oval "star", mixed cut, and measuring 6.20 x 5.44 x 4.18mm, eye clean, VS1 in clarity, from the gem fields of Ratnapura, Sri Lanka. Affordable Pad due to an average, but completely eye clean clarity. 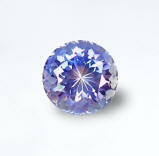 As per GIA, sapphires are type2 gemstones, that means usually included. Well, this is the average clarity of a sapphire. But not your average color. The rarest sapphire color. Do not let this one slip away, because you should act fast. Very low price here. 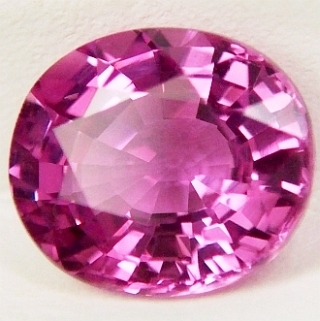 Spell-binding, very rare, violet-pink, color change, unheated Ceylon sapphire. Sparkling gem! Wow, a marvelous unheated sapphire with a gorgeous color change. 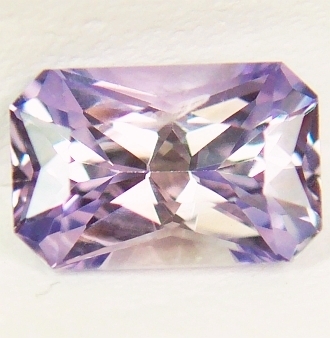 This one weights 0.91 cts,, medium, intense, bluish-violet with a pink core in daylight, changing to platinum-pink color in incandescent light, perfectly executed, round, modified, diamond cut, measuring 6mm in diameter by 3.35mm deep, flawless gem, IF-VVS type2 from the gem fields of Elahera, Sri Lanka. Very brilliant, well cut, with flawless clarity, the color change from violet to pink is also beautiful. The 6mm size is usually that of a 1+ ct. stone, so great spread and many choices for standard 6mm settings. Very under priced and truly a bargain! 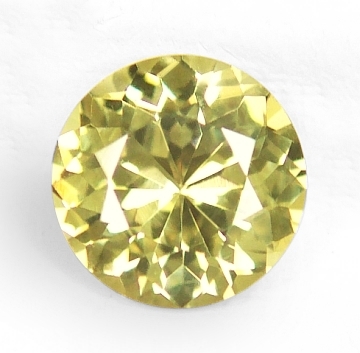 Adorable, masterly cut, unheated, Ceylon yellow sapphire. 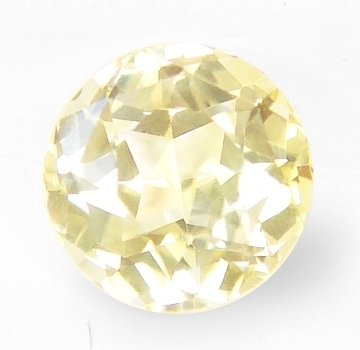 A very cute, unheated yellow with the look and feel of a yellow diamond, weighting 0.86cts., pastel, "maize" yellow color, masterly executed, pear shape, mixed cut, and measuring 6.92x4.78x3.38mm, flawless gem, IF-VVS1 from the gem fields of Ratnapura, Sri Lanka. Exceptional cutting, extremely lustrous and vibrant little gem, this will mount a calibrated 7x5mm standard setting. All in all, unheated & untreated as mother nature created it millions of years ago deep down in the earth. at this price, a great buy. 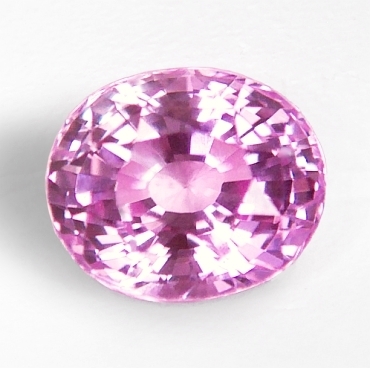 Alluringly imposing, perfect cut with ideal proportions, unheated, Ceylon pink sapphire. A very imposing, unheated, Ceylon pink sapphire, weighting 1.23 cts., medium, intense, pink color with purplish undertone (fuchsia pink), masterly executed, oval, "flower' cut, and measuring 7.03x6.19x3.66mm, eye flawless, VVS2 from the gem fields of Balangoda, Sri Lanka. Unheated pinks, right now, in the international markets, are demanding very high prices & often surpassing the blue hues (for 2 cts.+ stones). This one has great "face", a passionate deeper pink color, it is well cut & clean. Do not hesitate at these prices...simply a great deal. Blazing with excellent luster, well cut oval "flower", unheated, Ceylon yellow sapphire. You have finally found your final destination for unheated/untreated sapphires of superior quality. We are the source. This unheated, Ceylon yellow sapphire weights 1.20 cts., medium, intense, "sunshine" yellow color, perfectly executed, oval "flower" cut, and measuring 6.8 x 5.22 x 3.99mm, flawless gem, IF-0VVS1 from the gems fields of Elahera, Sri Lanka. The flower cut (known also as Portuguese cut) is a cut with considerably more facets & tiers than traditional step or mixed cut. It had a an excellent light return and it gives off a sparkle & luster that are simply exciting. A very beautiful sapphire indeed here. Completely natural, untreated & unheated. Very unusual, platinum-violet-pinkish, unheated, Ceylon "fancy" sapphire. A very rare and unusual, fancy colored sapphire with exceptional cut! This unheated sapphire weights 1.26 cts., an unusual pastel, platinum-violet-pinkish color, expertly cut in a fancy, emerald, "scissor" cut, measuring 7.2x4.7x3.73mm, eye flawless, VS type2 from the gem fields of Nivitigala, Sri Lanka. A very lovely, unheated, fancy, Ceylon sapphire with a great cut. For the lover of the unusual color as well, this gem is very crisp and definitely exotic. Will mount unique in that special piece of jewel. And the price is just a give away for an unheated, clean and well cut sapphire of 1 1/4 ct.! 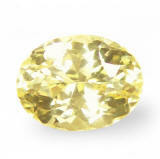 Solar & sparkling, unheated, Ceylon yellow sapphire. Classic gem, timeless color, magical shape. 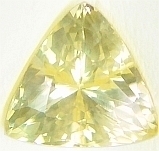 A bad picture of a brilliant, unheated, Ceylon yellow sapphire weighting 1.0 ct., pastel, bright, "maize" yellow color, perfectly cut in a trillion, fancy shape, measuring 6.25x6x6mm, eye flawless, VVS type2 from the gem fields of Nivitigala, Sri Lanka. Bright, awesomely cut and super clean, it possesses a definite exoteric energy and it radiates a warm sparkle. Very under priced, do not miss it because really a beautiful sapphire. Super sparkling, very well cut, rare, unheated, Ceylon tri-color "fancy" sapphire. Sensuous gem...below wholesale. A very brilliant and rare, unheated, Ceylon tri-color sapphire weighting 1.02 cts., medium, violet-blue color with a slightly pink core, masterly executed, round, modified diamond cut, measures 5.7mm in diameter by 4.15mm deep, eye flawless, VVS type2 from the gem fields of Pelmadulla, Sri Lanka. Sapphires come in a wide range of colors (called "fancy" colors), being blue the synonymous for this gem variety. 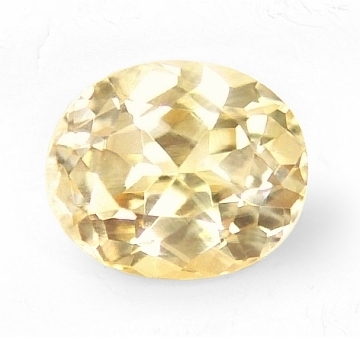 Here is a rare, unheated gem showing 3 distinct colors, but blended perfectly in a gazing way. The unheated state makes very desirable because prices for this material is very scarce and increasing by the day. Overall a beautiful gem . Excitingly cute, perfectly cut, unheated, Ceylon "champagne" sapphire. Well priced. We offer the most beautiful, well priced, unheated, "fancy" sapphires from the most important mining locations worldwide. This unheated, Ceylon sapphire weights 1.09 cts., pastel (light tone) "champagne" color, masterly executed, oval, "star" cut, and measuring 6.34x5.4x3.77mm, eye flawless, VVS2 from the gem fields of Kuruvita, Sri Lanka. A very pleasing & ethereal sapphire of good size, top clarity and perfect cut. Completely unheated & untreated as mother nature created it millions of years ago (cut and polish applied), this material is becoming very scarce and increasing in price. Very soon, we will not be able to offer at these low prices no more...so buy now. 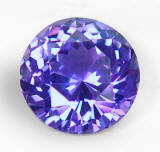 Mesmerizing, absolutely brilliant, unheated, Ceylon bluish-violet to pinkish-purple, color change sapphire. Unique. 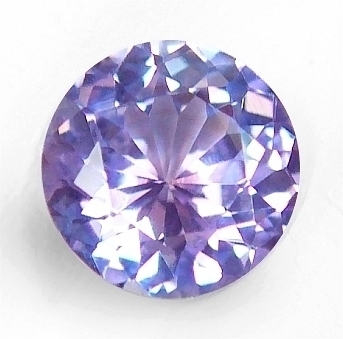 An incredibly brilliant, unheated, Ceylon, color change "fancy" sapphire weighting 0.99 cts., medium-dark, vivid, blue-violet color in daylight changing to pinkish-purple in incandescent light, perfectly executed, round, "flower" cut, measuring 5.7mm in diameter by 3.8mm deep, eye flawless, VVs1 from the gem fields of Elahera, Sri Lanka. Absolutely awesome sapphire, 1 point less than the 1 ct. mark...with super fine color and perfect cut. Will mount a standard 6mm Rd setting, and we have many diamond semi mounts available for it, at really great prices. The beauty of this sapphire cannot be seen through the pic. Make it yours and then agree with us. Very lively, unheated, color shift, platinum-lavender, Ceylon sapphire. Classic shape...A give-away. Bad picture of this unheated, Ceylon sapphire, weighting 1.20 ct., pastel, platinum-lavender with pinkish tones in daylight, shifting to a pink-lavenderish in incandescent light, excellent, round, modified diamond, mixed cut, measuring 6.4mm in diameter by 4mm deep, eye flawless, VVS type2 from the gem fields of Nivitigala, Sri Lanka. An unheated sapphire bursting with light and brilliance, with a very delicate and unique color at a price that cannot be beaten anywhere else, not even in Sri Lanka. Bought a large parcel of these fancy, unheated beauties, that are ideal for one-of-a-kind and exotic jewels... without busting your bank. Scintillating, perfect cut, unheated, Ceylon yellow sapphire. Real nice. A very lovely, unheated yellow sapphire, weighting 1.09 cts., pure "straw" yellow color, masterly executed, round "star" cut, measuring 5.75mm in diameter by 3.80mm deep, eye flawless, IF-VVS1 from the gem fields of Elahera, Sri Lanka. A totally pleasing, super sparkling unheated yellow with a nice, pastel straw yellow color. The "star", round mixed cut is very well done, and the stone delivers a great scintillation. And as usual, completely natural in its essence, unheated & untreated as mother nature created it. Very rare in nowadays market. Amiably crisp, superbly cut, unheated, Ceylon, color change, "fancy" sapphire. A great buy for this beauty. 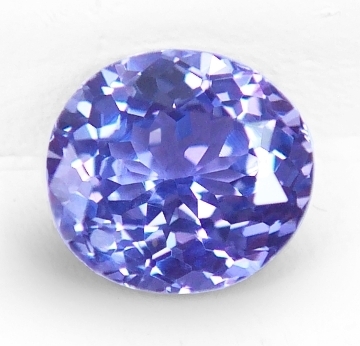 Cut to perfection, this unheated, Ceylon "fancy" sapphire weights 1.16 cts., medium, intense, pure violet "periwinkle" color in daylight, changing to a medium pink color under incandescent light, exceptionally well cut, in an oval "flower" cut, measuring 6.27x5.50x4.20mm, flawless gem, IF-VVS1 from Marapana, Sri Lanka. A super brilliant, completely unheated, Ceylon sapphire with a most awesome cut. And a color change too, so that you will never feel bored with it. Offered at a great price. 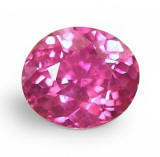 Exceptionally exotic and beautiful, gem quality, intense pink, unheated, Ceylon sapphire. One-of-a-kind. One of the most beautiful, unheated, Ceylon pink sapphires ever offered. This beauty weights 2.87 cts., medium-dark, intense, very saturated, pink color, v.slightly purplish, perfectly executed, oval, mixed cut, measuring 8.93x7.65x4.77mm, eye flawless, VVS type2 from the gem fields of Nivitigala. One of the nicest, unheated, Ceylon pink sapphires ever offered and a great, conspicuous size. 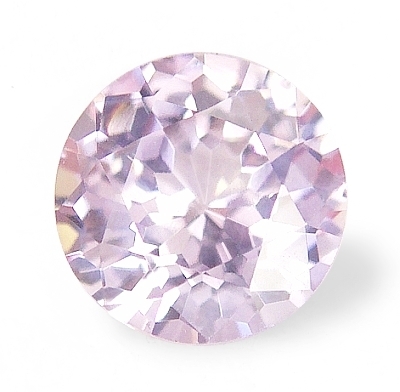 Unheated, Ceylon pinks of this intensity of color, perfect clarity (the stone is basically loupe flawless), perfect cut with a large spread (having more like a 4 cts. face), and at this "overseas" dealer price, well, ... more than a gift. 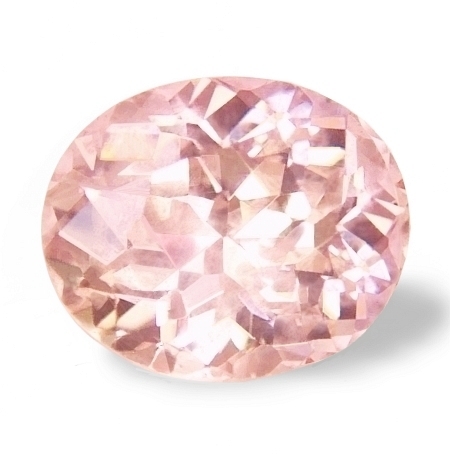 Like a beautiful spring day, adorable, very rare, unheated, Burmese pink sapphire. Vibrant. We have been lucky to obtain few unheated Burmese sapphires at a great price. This ethereal, unheated pink sapphire weights 1.30 cts., pastel, pink color, v.slightly orangish, excellent, oval, mixed cut, measuring 6.5x5.5x4.25mm, eye flawless, VVS type2 from the gem fields of Mogok, Upper Burma. Burmese pink sapphires are characterized by extraordinary clarity, a definite and mystical scintillation, and an overall delicate, but gorgeous presence. Unheated, untreated as mother nature created it, this material is very difficult to get and even more at these, very low prices. 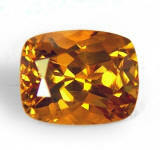 Brilliant & unusually colored, perfectly cut, unheated, golden "mustard", Ceylon fancy sapphire. A richly colored, unheated, Ceylon "fancy" sapphire, this one weighting 1.30 cts., rich, intensely vivid, "golden-mustard" color with a definite greenish undertone, masterly executed, "antique" square cushion, mixed cut (with "flower' pavilion), and measuring 6.50x6.25x3.58mm, eye flawless, VVS2 from the gem fields of Marapana, Sri Lanka. This is considered the most auspicious, yellow sapphire color by Buddhist monks in Sri Lanka. Superbly cut with awesome luster, and offered at a true wholesale value. Very beautiful, perfectly cut, unheated, color change, blue violet to pinkish-violet, Ceylon fancy sapphire. Flawless. 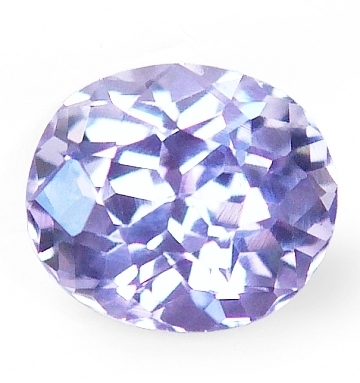 A most sparkling, unheated, color change "fancy" sapphire, weighting 1.09 cts., medium, vivid, blue-violet color in daylight changing to pinkish-violet in incandescent light, perfectly executed, oval, "flower" cut, and measuring 6.22x5.67x3.62mm, flawless gem, IF-VVS1 from the gem fields of Lellopitiya, Sri Lanka. Unheated and untreated as mother nature created it millions of years ago, this is a beautiful Ceylon color change with perfect cut and great brilliance, and internally flawless as well. A great buy for a beautiful no heat sapphire. Very brilliant, succulent, unheated pinkish violet, color change, Ceylon sapphire. A gift. An unique and sweet unheated Ceylon sapphire this one. It weights 1.18 ct., pastel violet-pink color in daylight changing to pastel pink color in incandescent light, excellent, round, "flower" cut, measures 6.6mm in diameter by 3.6mm deep, eye flawless, VVS type2 from the gem fields of Nivitigala, Sri Lanka. A gorgeous unheated sapphire with color shift in different light environments. Real nice pink color in incandescent light and at a $400 for an unheated pink, this is simply a bargain that you cannot pass it on. 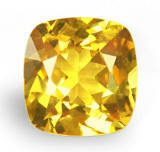 Very rare color & auspicious in the Buddhist tradition, perfectly cut, unheated, Ceylon "golden-mustard", "fancy" sapphire. 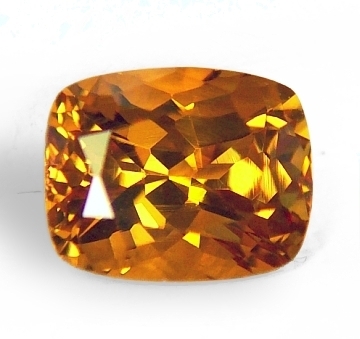 Another rare color, unheated, Ceylon "fancy" sapphire, weighting 1.60 cts., medium-dark, intense "raw sienna" color (or "dark golden-mustard" if you prefer, perfectly executed, "antique" cushion, mixed cut, and measuring 7.02x5.59x4.5mm, eye flawless, top VVS1 from the gem fields of Ratnapura, Sri Lanka. This "burnt golden" color sapphire, Pusparaga, is very much sought after in Sri Lanka by high rank Buddhist monks, that consider it the ultimate color to propitiate Jupiter in Vedic astrology. Completely unheated and untreated, super clean & well cut, this is a color for somebody who likes earthy tones...offered at below wholesale price.